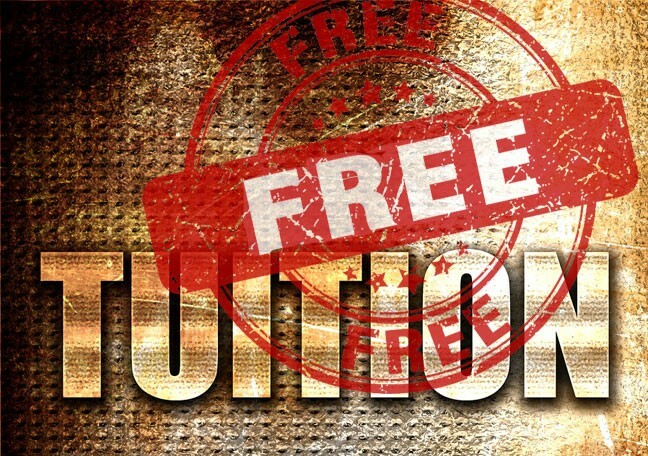 Calls for free or nearly free college tuition are gaining momentum. That's not surprising given the increasing cost of college and the skyrocketing level of student loan debt. In 2009, Americans owed $150 billion in student loans. In 2017, it's up to $1.3 trillion. And that number will keep climbing as interest rates go up. Student loan interest is tied to the rate on treasury notes, which just took a jump. That means a seven-tenths of a percent hike on student loan rates. What to do? Tennessee, Oregon and New York are experimenting with different ways of making college tuition free, at least for community colleges. Arizona gubernatorial candidate David Garcia has made the gradual move toward free tuition beginning at the community college level and eventually expanding to state universities part of his campaign platform. This year, our universities are piloting an Arizona Teacher Academy which will be tuition free for students willing to commit to teaching in high-need schools. It's a good first step, but this first year, it will help only 200 students, mainly seniors. It's hard to imagine our legislature giving the universities enough money to expand the program. My favorite semi-utopian-but-plausible notion for free tuition is usually called income-share, though I'm fond of the name some people have given to a program Oregon is looking into: the Pay It Forward plan. The basic idea is, college is tuition free when students attend, then they pay for it after they leave. However, unlike loan programs where people have a fixed amount of debt they have to pay off, students pay a percentage of what they earn over a ten to twenty year period. In Oregon, the proponents say the program would be self sufficient if graduates pay back 3.5 to 4 percent of their earnings over twenty years. At Purdue University in Indiana where they're trying out the idea, the payments are spread over ten years. The percentage graduates pay is determined by the amount of their tuition they defer. The beauty of this idea is, graduates pay based on their actual earning power as young adults. People making six figures in their post-college years would pay handsomely for their educations. They may gnash their teeth when they have to pay, say, a $6,000 tab from their $150,000 income, but that $500 a month won't take food off their tables. Meanwhile, someone who follows a career path resulting in lower income—say, a teacher, someone working in the nonprofit sector or someone trying to start a business—won't be burdened with economically crippling loans. They'll pay a sum proportional to their earnings. In some versions of this concept, people who make less than $20,000 pay nothing. The result of making payments proportional to income is, student loans won't pressure people into going into money-making professions when they would prefer other lines of work, and crippling loan payments won't force people into bankruptcy. Holes have been poked holes in the income-share plan. It's not hard to do in this simplified form. (Fun fact: For people who think this is a Commie income redistribution plan, it was introduced in 1955 by economist Milton Friedman, who is no one's idea of a Communist.) The idea needs fleshing out. It's worth exploring, tinkering with and trying out in pilot programs. Of course, there's another simpler, more direct way to lower the unsustainable rise in student debt. States can increase their subsidies to public colleges, making higher education, in the wise words of the Arizona constitution, "as nearly free as possible."